We are on a constant hunt to find some cool and useful tools for our readers all the time. In this endeavor today we have collected some interesting apps as well as websites and services which will suit all your needs as a web developer, designer, project leader, or even the end customer. And the plus side of this collection is that all of the resources we have found are all free for personal use. So you can now actively keep your employees productive, trace your lost laptop, protect your privacy and get rid of unwanted mails and much more. With how much of our daily professional lives revolve around the internet, we felt that anything we could do to help make that time a little bit easier and more productive would be a worthwhile pursuit. Some of these tools you may already be familiar with, and some you may not. However, we hope that you will find some value in the collection below, and that a few of these apps will be the game changer that you have been looking for to make your life a little bit easier and at times a bit more fun. Take a gander and grab a few tools before you go. This is a wonderful site based on Google Maps to track the websites, mashups and tools being influenced by Google Maps. 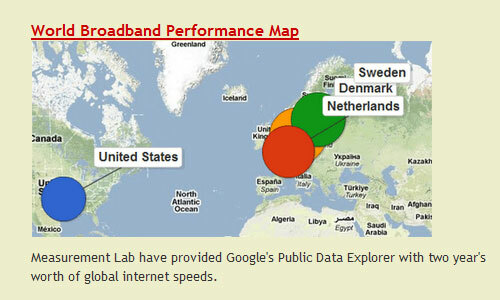 Although its not affiliated with Google, you can fetch data regarding most things here as well. Designers and developers are among some of the most avid icon hunters online. 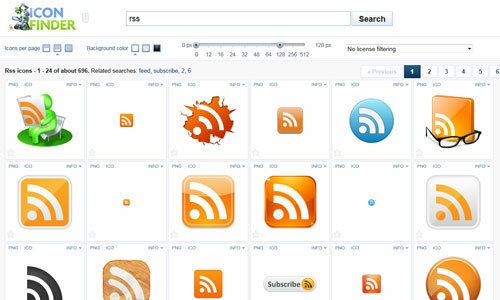 And that hunt has just gotten simpler with IconFinder, the icon search engine with a huge selection for all of your needs. For anyone who needs real time web analytics for their site, Woopra is the perfect compliment to your current analytics tracker. 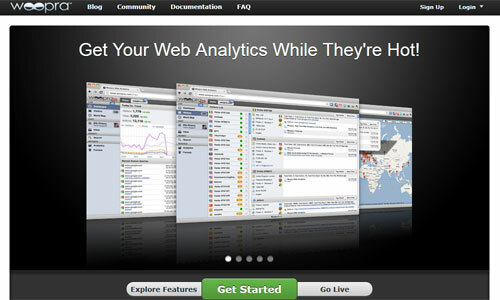 You can easily check on what is happening right now on your site, and what your users are doing. Have trouble keeping your team or employees on track and productive? Then let the Monkey help. 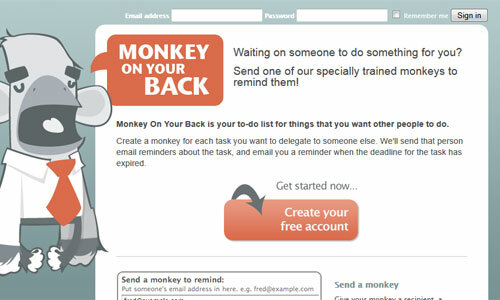 With Monkey On Your Back, you can create a todo list and send the various tasks to whomever you want to complete them. Starting off from a playful place, the CSS3 Playground is an excellent online source where you can experiment with all kinds of CSS tricks and then simply grab the code for the end product. Given the amount of time we spend online, Readability may be just the tool for you to make your experience as comfortable for you as visually possible, by simply stripping down the site’s style for a softer visual presentation. 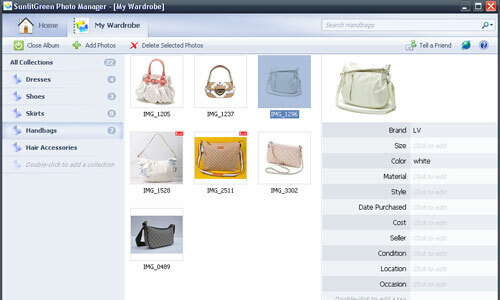 Now organize, tag and browse your photos, make and create photo groups and search through them fast as you can type. Essential for anyone who has lots of images to keep managed and maintained. 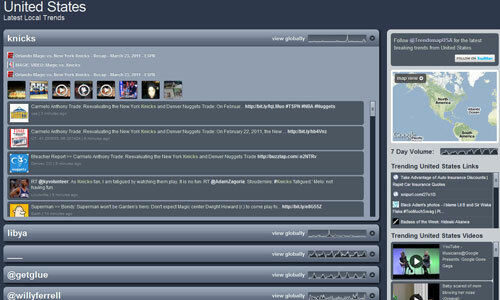 Now you can mapp Twitter trends across the globe in real time. You can track them via name, area or country. As the website says, you can’t optimize your DNS until you can evaluate it. 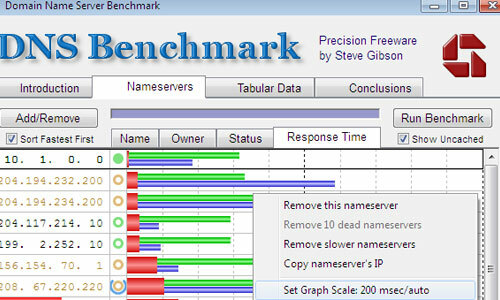 Domain Name Speed Benchmark ascertains the exact performance of local and remote DNS nameservers. So many of us in the online community love Firefox being that it is such a powerful browser, but the problem arrises when you have to work from some other system. 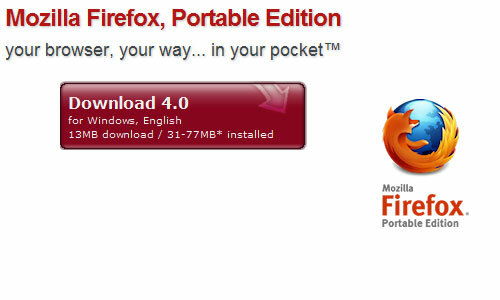 However, with this Portable Edition you can now take all your bookmarks, passwords and extentions with you. 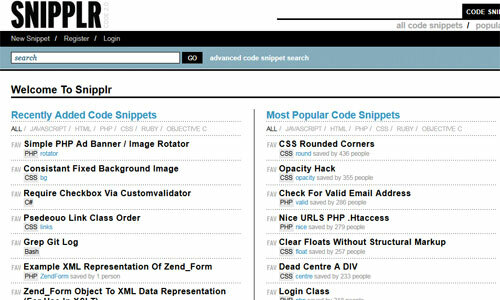 Snipplr is a fantastic resource for developers where they can store and search for code snippets online. One of the things we come across a lot when working with clients is the request to send them files as a Word document. With this site you can take your PDF’s and easily convert them into Word docs. Their sister sites can also prove useful! 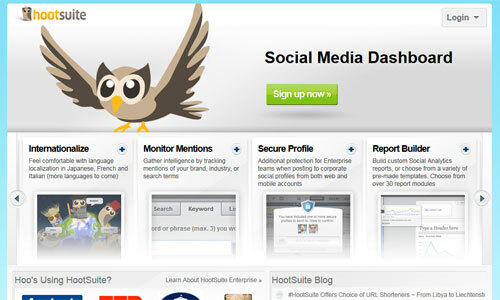 HootSuite can bring all of your social media networks into one place so that you can easily keep track of all your feeds in one convenient dashboard. 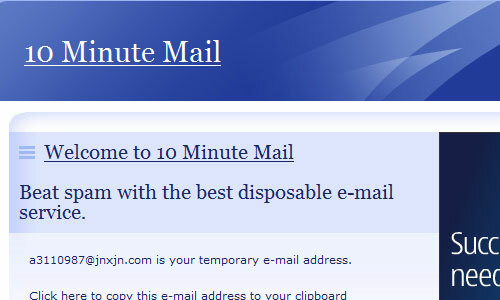 A disposable mail service to help you get only the necessary emails by getting alternate and temporary email ids for Ten minutes. You can always extend the time if required. Suppose you were in a hurry and you permanently deleted a file before its time. 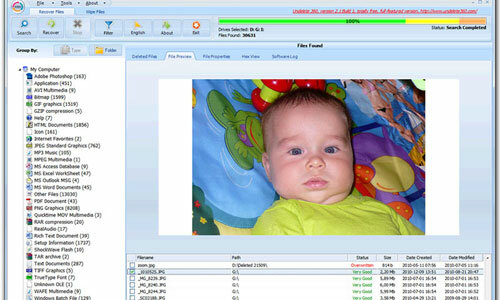 Now you can restore files accidentally deleted from your computer, digi-cam, or pen drive. If you don’t want to be prey to some spy software which might be giving all of your important information to some unsolicited person, than you might want to think about installing SnoopFree on your system to prevent it. Getting overwhelmed by your inbox? 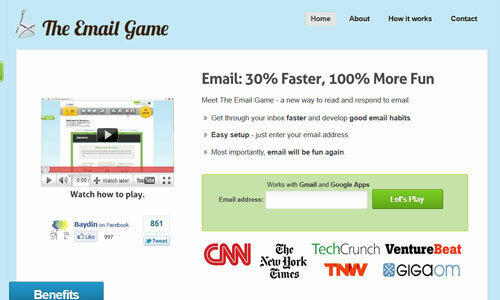 Need a little assistance in getting motivated to tackle your mounting emails, then the Email Game app can help. Email is fun again. 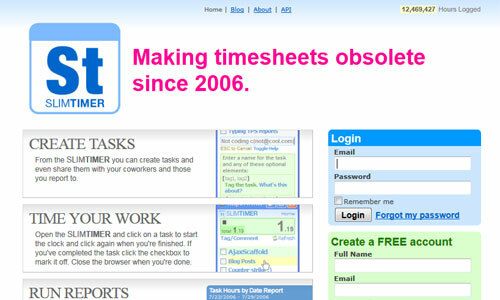 Time tracking without the timesheet is how SlimTimer bills itself. A comprehensive time management tool is how we would describe this useful tracker. For anyone working in a creative arena especially, wridea is something of a must, but it can work for any number of online professionals. 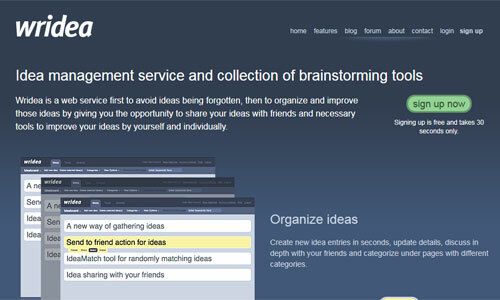 This is an idea management service complete with a collection of brainstorming tools right at your disposal. None of us could imagine parting with our laptops. But are you prepared to track your laptop if its misplaced, stolen or lost. If not, try Adeona. 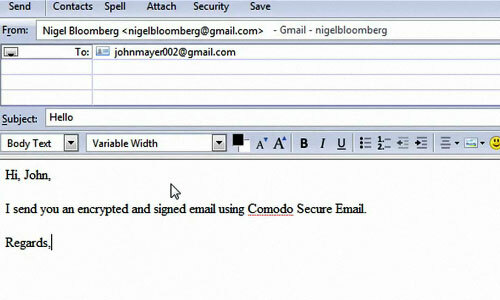 Comodo SecureEmail is a smart and simple way to send encrypted emails so that no one is able to intercept and alter your private secure messages. By making this one time cumbersome process a breeze to use, your email could be more secure in a matter of minutes. There are many reasons that we might need to or want to change our IP address as we surf and browse the web, but how do we make sure that our IP masking is working? There are also times we just need to know what our IP address is. 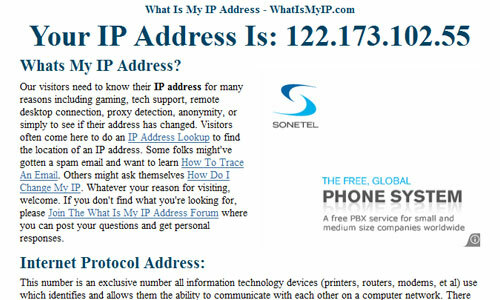 Now just go to this website and it will show you what your current IP address is reading as. Do you hate registering in to websites just to read and check some sort of information? 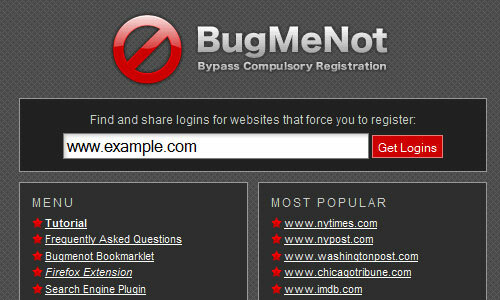 Well you can always use a shared, predefined set of login information collected for various sites that force users to register, by heading over to BugMeNot. Coders will more than likely be flipping over Left Logic, and they may not be alone in their celebrations. 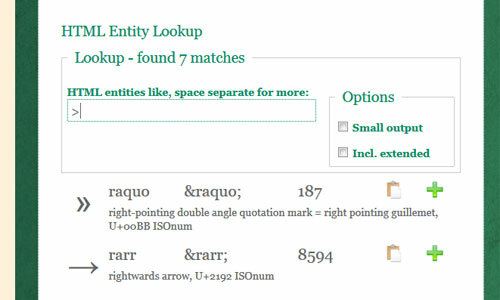 This is an HTML entity character lookup that is both quick and easy to use. 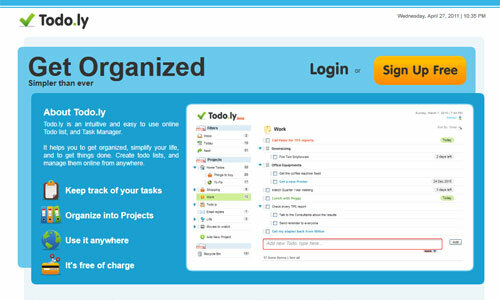 When it comes to keeping yourself productive while online, Todo.ly, the simple online todo list can help. Whether you are a designer or an content editor, CushyCMS is for you where you as a designer define the editable content area and as a content editor, make required changes in editable sections without having to first master your programming skills. 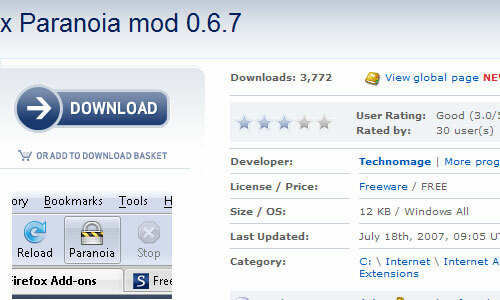 Free software that is helpful in maintaining your online privacy, confidentiality and traffic analysis through its built in privacy features. If you are looking for a way to stay anonymous as you surf, then Tor can help you out. 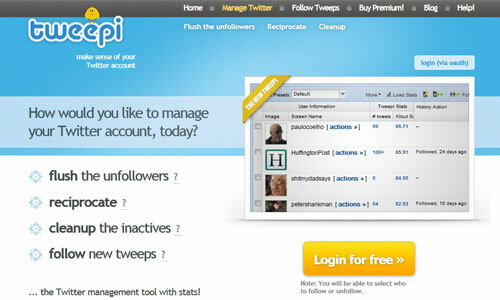 Tweepi is a useful tool for any professional whose online existence relies heavily on their Twitter interactions. With both free and paid elements to the service, this tool can improve your Twitter experience. 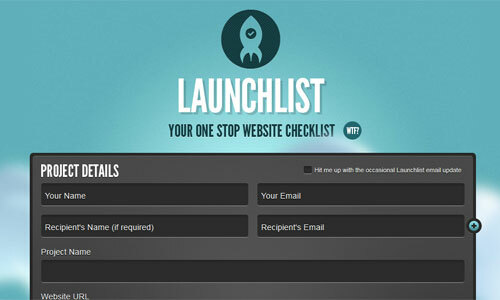 Launchlist Lite is prefect for web developers and designers who are looking for a virtual checklist that provides a comprehensive list helping you to ensure that your site is ready for launch. Once you have finished checking out all of that useful stuff, and you don’t want to share with your colleagues or anyone else sharing the system, this Firefox extension comes in handy. It clears all of your history, cookies, passwords and any other saved information with a few simple clicks. 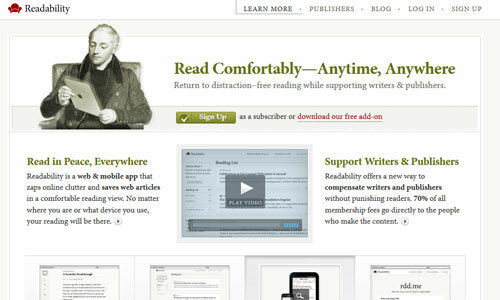 I’m really interested in Readability, I wonder how it competes with instapaper? Nice post. 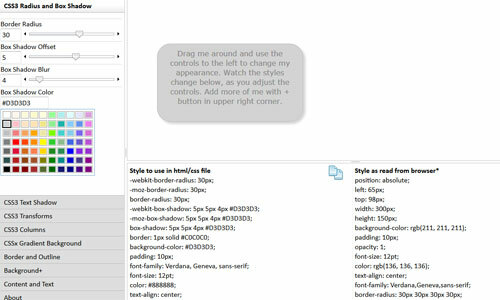 Being as an designer, I understand how useful these tools are and how helpful stuff these resources provide. I would also recommend you to include an invoicing app in this post as an invoicing app is mandatory app to run a business and a designer is required to use one to manage his invoices and payments. I personally use invoicera.com to invoice my clients and to keep track of my projects and expenses. This really made my work so easy. Thanks for the interesting post!!!! Nice things to try out. 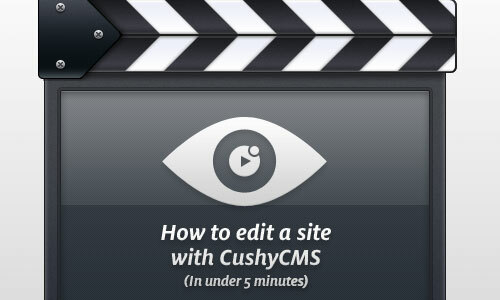 CushyCMS is just an overpriced version of CouchCMS. I would change Cushy to Couch, as couch is free for a personal license and for a full pro license it’s a one time fee of a little under $30. Awesome lineup of tools. There’s something in here for everyone to use. I’m a huge supporter of HootSuite – what they did for their customers after the big outage (giving us free credits) was really awesome and shows how much they value their users! Great Post. Not sure if Tor should be on the list though. Great list of online tools. Most of listed new for me…great shared! Tools are really good, nice list. Nice list. Thanks a lot! Nice list to try out. Fantastic list, I didn’t realise that launch list had a free alternative. Very nice post indeed. Lots of cool & interesting sites. Thanks. Thanks for such a nice collection of tools.Very informative. Thanks a lot for this list,it has made things simple for me.I would add dropbox to the list. Great list. I would also include a few resources for invoicing / proposals since most of businesses will probably need to use those. i would like to know if there is any tool like the one we see on the hipmunk site,i.e the tabbed browsing tool. As soon as we click on the new tab,it gives us a new instance of the website for new searches and all. it is similar to browsers with multiple tabbed browsing. would like to know if some tool is available in php/ruby/python? 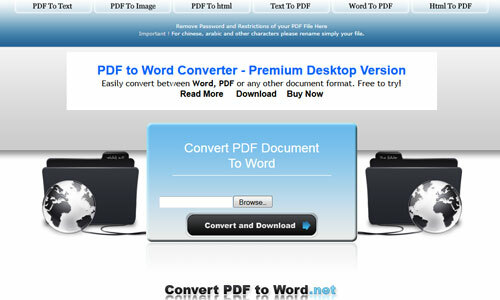 You can also use http://www.pdfburger.com to convert PDF to Word / JPG.